This weekend will be a welcome relief for anyone whos been on Edisto the past couple days. Strong wind, rough seas, and torrential downpours have made this early part of October dreary, but the clouds are forecasted to move on and make way for sunny skies this weekend. 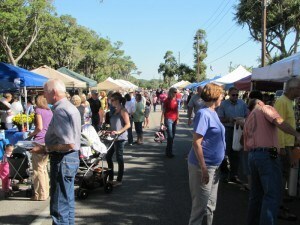 The timing couldnt be better as this Saturday is the annual Fall Festival. At 11 am to 5 pm on Saturday, Jungle Road will be transformed into a thoroughfare of fun as vendors from all over Edisto will set up booths for the festival. 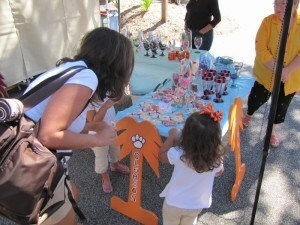 Festival-goers can pick up locally made arts and crafts, snacks and beverages, and everything in between. In addition, the Edisto Chamber of Commerce, which is hosting the event, will have games and activities for children. Charitable organizations will also be present at the festival. The Edisto Belles, a breast cancer awareness group, will have their all-pink booth set up to raise funds for breast cancer research. Information items about breast cancer will also be available. Animal Lovers of Edisto will offer puppy hugs for $1 to raise funds for their organization. Stop by their booth and snuggle two 10-week old lab mix puppies for a good cause. Keep in mind the puppies are up for adoption along with the three grown dogs at the rescue facility. The festival will be in the first and second block of Jungle Road in front of the Jungle Road Park and next to Palmetto Plaza. The road will be blocked off to traffic, so feel free to let the kids run loose. If festivals arent your style, the weather will be bright and sunny with temperatures in the high 70s. Its the perfect time to schedule an ecotour or take a ride out to Otter Island to do some exploring. The trails at the Live Oak campground off Highway 174 are excellent this time of year because the humidity is gone, making the two-mile walk through Edistos maritime forest pleasant. This time of year means plenty of rental houses are available at a discounted rate, so if you havent already booked your house, do so now by clicking here and get ready for your fall vacation.